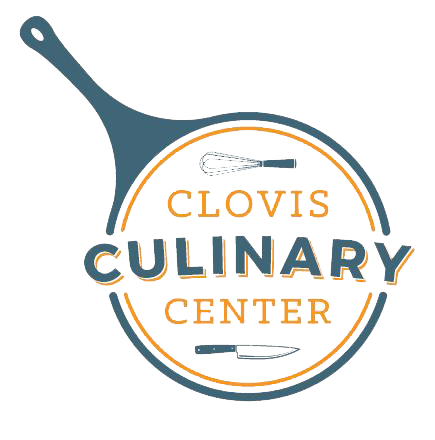 Clovis Culinary Center offers the equipment that any food-based entrepreneur needs to help their business grow and thrive. Our facilities are readily available for rent, and our classes and mentoring programs help balance the business-side of most food-based operations. With our partners’ support, special hourly rates and scholarships are available to qualified residents of economically challenged areas within our region. Contact us for more information. Our shared commercial kitchen space offers a wide range of professional commercial equipment that will help you prepare your specialized products from start to finish. We offer hands-on technical assistance from our industry-minded professionals which include workshops focusing on basic food handling, developing business plans, marketing, social media, securing permits and licenses, procuring contracts with government organizations, obtaining a wholesale license, and access to capital.